Learning how to play soccer is one of the best thing someone can do at any age. Every year, more and more people are signing up, stepping onto the pitch, and enjoying the sport we’ve all come to love. While it may look complicated when you’re watching the elite players on TV, thankfully soccer is a fairly simple game to understand and play. 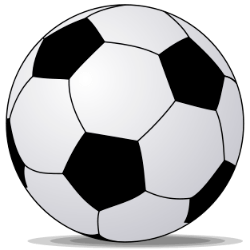 In this article I’ll show you how you can starting learning how to play soccer. The great thing about learning how to play soccer is that all you need is a ball. With that alone, you can perform many different drills that will improve your ball control and touch around the pitch. Regardless of the country you’re in, there are usually matches and kickabouts going on every second of the day that you’ll be able to join. With such world-wide love of the game, you’ll meet countless people who will be able to give you pointers, tips, and advice for improving your game. ​As the saying goes, “practice makes perfect”. While first learning how to play soccer, you should be spending as much time as possible kicking a ball around and getting a feel for it. But if not, there’s still a ton of things you can do individually to improve your soccer skills before joining a team later on. With the ball at your feet, the first step is to work on some of the basic skills of the game. If your only option is to practice individually, find a wall that you can kick against. Your goal is to kick the ball against the wall and then control the rebound. Once you feel like you’ve improved your technique, ask a friend to kick with you so that you can practice hitting a target over a longer distance. This will also give you the opportunity to work on one-touch passing. The ball will be coming at you from a variety of different angles and heights which means you can practice controlling the ball with your thighs, chest, head, and other body parts. If you find at the beginning that your kicking skills aren’t accurate, check out this 10-step guide showing you exactly how to kick a soccer ball. And make sure you’re practicing with both feet! It’s much better if you’ve got someone who can go in goal or defend you while you’re practicing different dribbling moves and creating space to shoot. Just like the other skills, it will take you some time to improve. So don’t become discouraged if you don’t feel like you’re ‘getting it’ right away. Make sure you’re practicing these basic skills as much as possible. Whether you’re training individually or you’re lucky enough to have a friend to train with. If your heart is set on learning how to play soccer, one of the best things you can do is spend time on YouTube learning from the best of the best. In this day and age, there are thousands of online resources that can help you develop your skills and knowledge of the game. 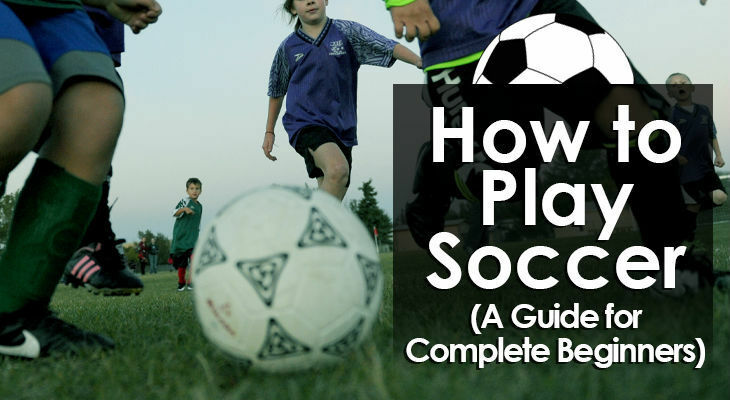 While you work on the basics and your skills slowly start to improve, you'll also want to learn the basic rules of soccer. These shouldn't take long to learn, and they'll soon become second nature after you’ve competed in a few real matches. In the beginning, they’ll help you avoid silly mistakes. Finally, you need to learn the positions. Focus on the position you’ll play most of the time, but it’s smart to have a good understanding of the roles and responsibilities of every position on the pitch. ​One of the easiest things to do by yourself as a complete beginner is to work on your stamina. When you start competing in real soccer matches, you’ll need to be able to run for the majority of the 90 minutes of a game. Soccer players cover a huge area over the duration of a match. Getting supremely fit will give you an advantage as soon as you step on the pitch and it will make a good impression on your coach and teammates. You should also work on your speed, strength and agility - all of which are very important. Tired players make more silly mistakes. ​Before playing your first game, you’ll need to get the right equipment. Most importantly - soccer boots. Depending on the type of soccer you’re wanting to play, there are a number of different boots / shoes available for you to purchase. Many current soccer players even have a couple of different types so they’ll be able to play anywhere, at any time, on any kind of surface. 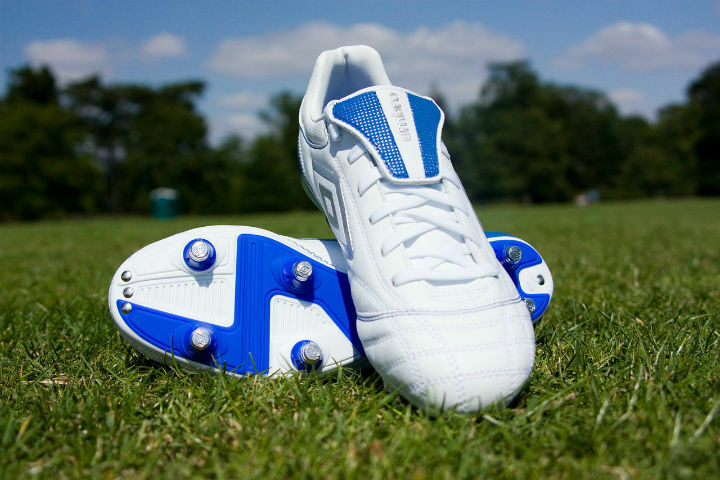 For standard eleven-a-side soccer, you'll need soccer cleats. These can also be used on astroturf pitches which you’ll see from time to time. For indoor soccer, you'll want soccer trainers which don't have cleats. These are usually different from trainers which are made for runners, but you can usually find shoes which fit both purposes. You'll also need shin pads to protect you from any hard tackles, socks, shorts, and a shirt or two to train in (replica soccer shirts of your favourite team for example). After, that you should be good to go! It’s time to start playing. 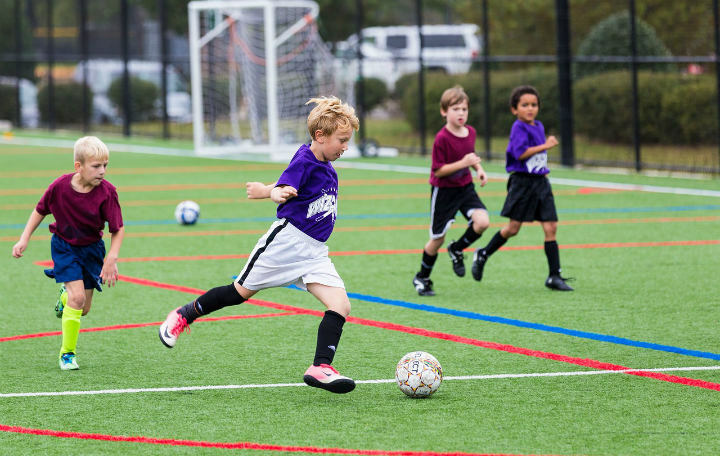 Competing against other players will allow you to practice your soccer skills and moves against real defenders who are attempting to steal the ball from you. But if you haven’t found a team, you don’t even have to start playing real matches yet. Playing small-sided games or kickabouts with friends or locals in your hometown will go a long way to prepare you for the real thing. You’ll soon find yourself tackling, passing, and shooting while also learning when to make a run, what spaces to create on the pitch, and which positions you’re best suited for. With a lot of practice now under your belt, you should feel confident enough to join a team. There are many teams (of all skill levels) who are always looking for players. When you do find a team to play for, make it your mission to compete hard during training sessions to secure your position and role on the team. After that, continue to play and train hard to keep your spot. And make sure you enjoy the process! But with a little enthusiasm and a lot of hard work, there’s nothing stopping you from becoming a deadly soccer player on any team. If you start off by figuring out the basics and then dedicate and schedule the hours to practice them, you’ll be surprised how quickly you’ll improve in a short amount of time.